Dr. Von Hendy-Willson obtained her DVM from Purdue University. She spent two years in private practice in Lafayette, IN then pursued a rotating small animal internship at The Ohio State University. This was followed by a residency in internal medicine and MS degree at Purdue University from 2008–2011. She became a Diplomate of the ACVIM in June 2011 and joined UPSTATE VET in August 2011. While Dr. Von Hendy-Willson enjoys all aspects of internal medicine, she has a special interest in the urinary tract, particularly management and treatment of lower urinary tract diseases and chronic kidney disease. 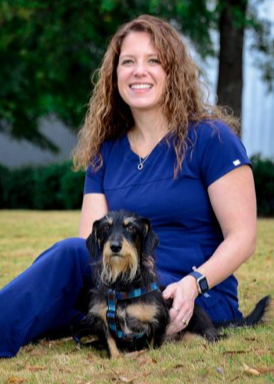 Outside of work, Dr. “V” enjoys traveling, water sports, and spending time with her family (two-legged and four-legged).